What Type of Deck Are You Using? 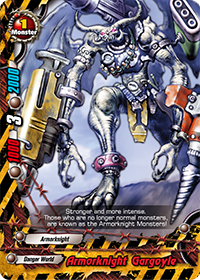 For most trading card games, decks are usually built to fit an archetype. 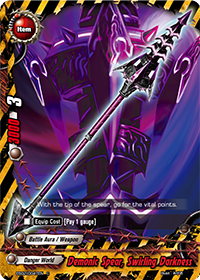 This gives the deck a theme and eases deckbuilding by narrowing down on the type of cards that the player would choose to fit in his or her deck. These archetypes are usually aggro, mid-range, control and combo. Aggro, or aggressive decks, tend to rush the opponent down and close the game early. Mid-range decks are slightly slower than aggro decks, and have a more balanced range of monsters to choose from. Control decks are the slowest type of deck which focuses on restricting the opponent’s actions, then finishing the game with several powerful high-cost threats. Combo decks work by using synergistic effects of several cards working together to create a “combo” by which the player can use to defeat the opponent. 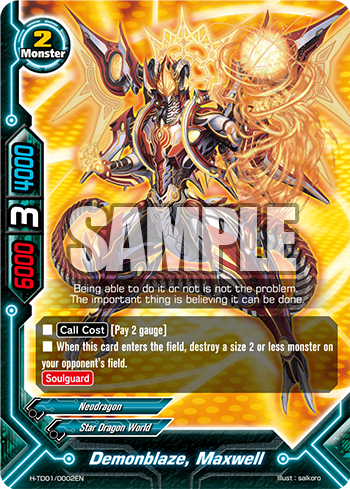 Archetypes in Future Card Buddyfight are no different, but the main characteristic of Buddyfight games is that it is fast; even games between relatively slower decks tend to finish in 10 minutes or so. 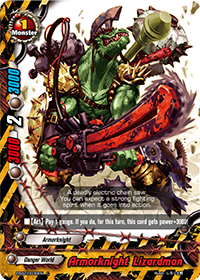 Rushdown decks are similar in definition to aggro decks. They play mainly size 1 and size 2 monsters with high critical and attack power, often with [Double Attack] and [Penetrate] included as well for good measure. These cards usually have low cost – or even no cost! – and are usually very efficient for their size. An example of a Rushdown deck would be Carlos Rodriguez’s Dungeon World deck, In Memoriam. 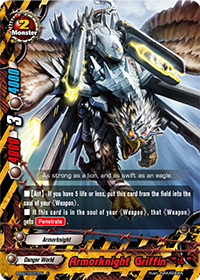 The main enemies of this type of deck would be monsters with high defense or [Soulguard] – or both! – that can sit in the center for a long time. To get around these obstacles, you can play cards like “Pillar of Fire” and “Scout, Criticizing Kirwa” to get rid of center monsters. 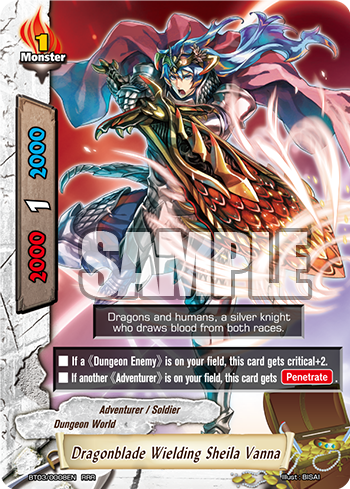 To finish the game, you can then field cards like “Dancing Magician, Tetsuya” to give another card [Double Attack], or “Dragonblade Wielding Sheila Vanna”, a powerful size 1 that can gain bonus [Critical] and [Penetrate]! 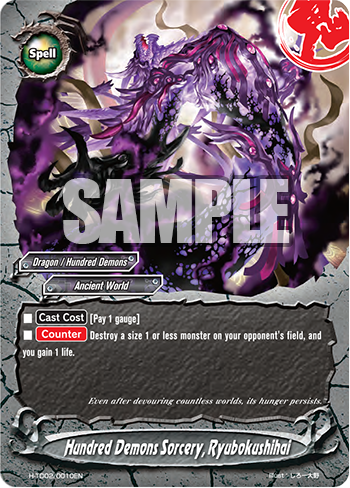 The [Shadow Dive] ability would be great in such a deck as well, as it allows you to bypass the opponent’s center monster. This type of deck does well against Set-Up or Last Boss decks, as you can take them down quickly and not have to worry about their end-game. Be warned, though – if they effectively wall you off and manage to pull out their big guns, chances are it’s a lost game for you. 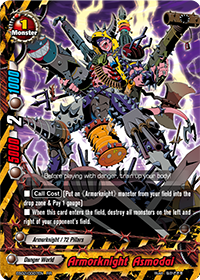 Rushdown decks struggle against Beatdown decks, as Beatdown decks do not require setting up, and their monsters generally have superior effects and stats. 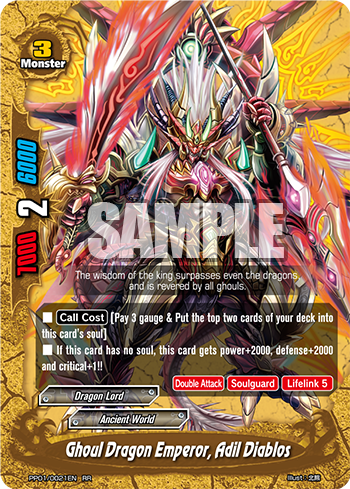 Beatdown decks contain a wider range of monster choices from all sizes which have powerful effects. 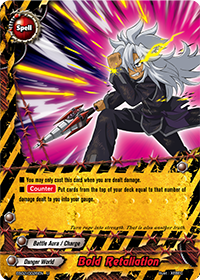 Instead of overwhelming the opponent with sheer force alone, they use these effects to disrupt the opponent while giving themselves boosts. 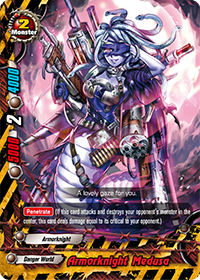 These decks also boasts good defense; monsters in these decks often have more balanced attack and defense values for better staying power. 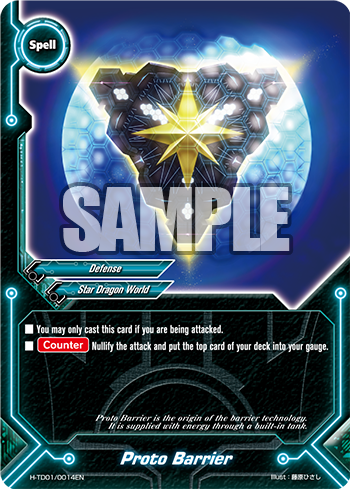 Joseph Grayson’s Star Dragon World deck, Emoji! Warriors, is an example of such a deck. 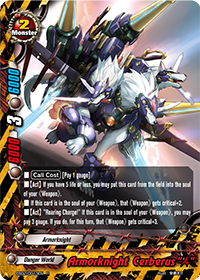 This deck uses cards like “Star Guardian, Jackknife” and “Demonblaze, Maxwell” as its main attackers, while also having a more powerful ace card in “Cosmic Storm, Greisen ZK”. 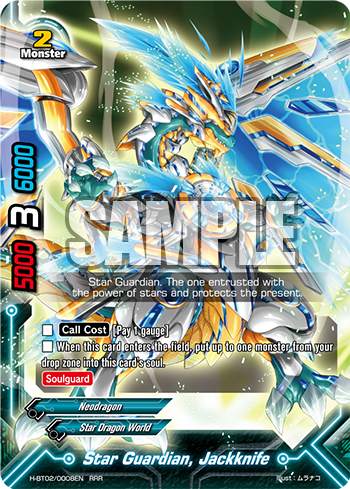 As a Star Dragon World deck, these Neodragons can also gain additional effects when they have the various Dragonarms in their soul. 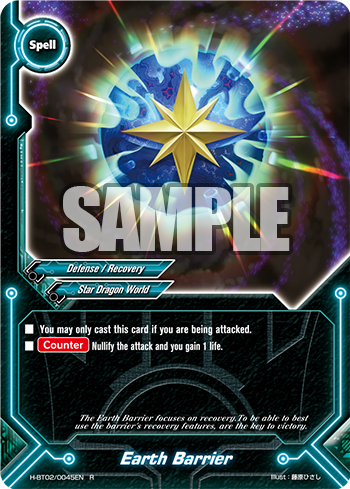 It also plays a greater number of defensive or utility spells, like “Earth Barrier”, “Proto Barrier”, “Planet Memory” and “Sudden Wormhole”. 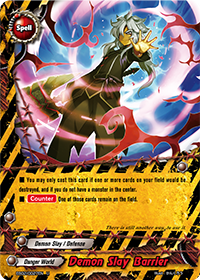 This type of deck will easily overpower Rushdown decks with superior size and effects, but is inferior to Last Boss decks, whose finishers are generally more powerful than what the Beatdown deck can deal with. 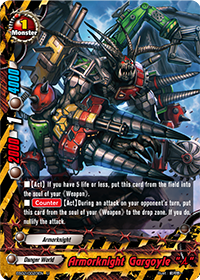 Beatdown decks also do well against Set-Up decks, as it is possible to take them down before they can… well, set up. 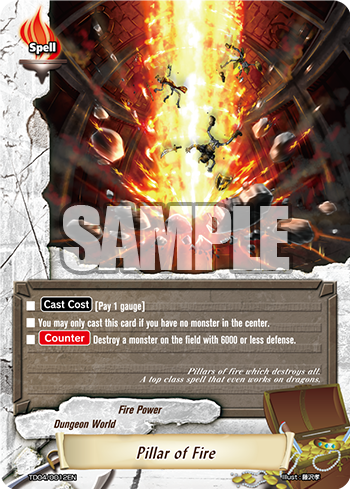 The dreaded Last Boss deck plays mainly size 3 monsters coupled with a massive amount of defensive and draw or search effects and spells. These decks aim to put out one powerful monster, and protecting that monster. 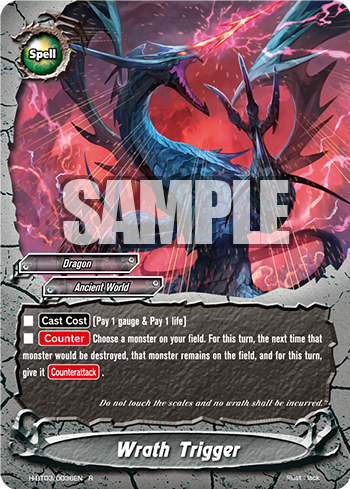 While these decks boast powerful monsters and effects, size limitations means that you can only fit other size 0 cards on the field with your Last Boss. Your size 3 monsters will have strong staying power though, as you can protect them with the various spells and effects. One such deck is Tony Clarke’s What Is His Name, an Ancient World deck. 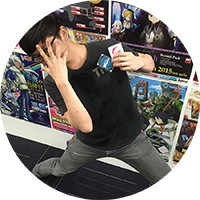 The deck’s Last Boss is “Ghoul Dragon Emperor, Adil Diablos”. 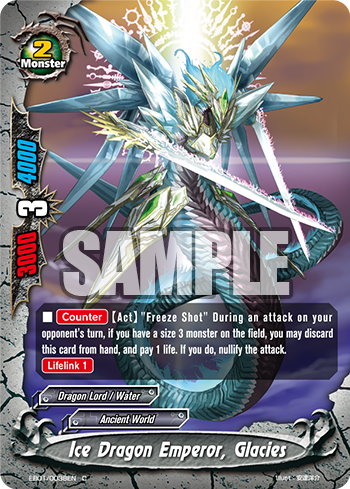 The deck is built around protecting this monster, with cards that can nullify attacks like “Ice Dragon Emperor, Glacies”, cards to destroy the opponent’s monsters such as “Dragonic Thunder” and “Hundred Demons Sorcery, Ryubokushihai”, and “Dragonic Outlaw”, a spell that can increase the defense of Adil Diablos. 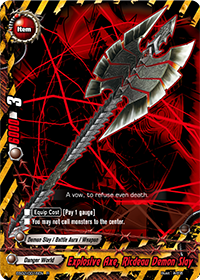 Another card that helps keep Adil Diablos on the field is “Wrath Trigger”, a must-have for all Last Boss type Ancient World decks. 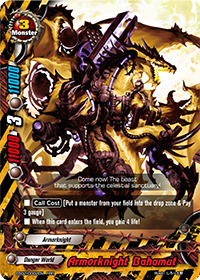 If this deck manages to put up its size 3 monster, it is unlikely that Rushdown or Beatdown decks can pierce through its defenses. 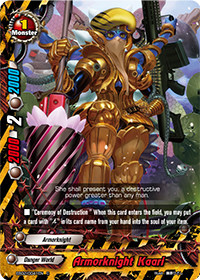 However, if it fails to put out the monster and get its defenses up and running fast enough, it will get easily overrun by the other two deck types. 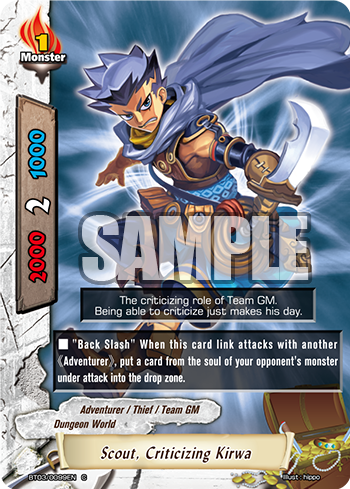 Matchups against Set-Up decks depends on who gets the field prepared first, as both decks need specific cards in order for it to work. Set-Up decks don’t quite fall into any of the other categories, just like how combo decks are separate from the other types in terms of definition. 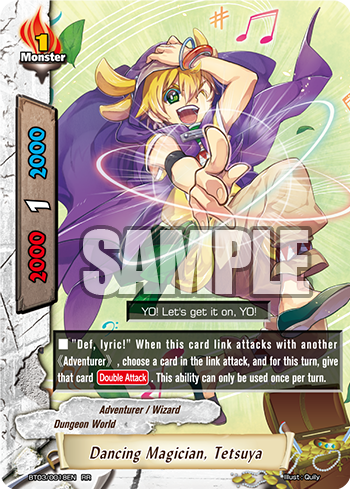 Set-Up decks do not necessarily play with any specific number of monsters or type of monsters, but fit monsters and spells in that can help them last through the game and draw into their combo. Often, these decks have terrible win-rates, as you will need to draw into a large number of cards while still surviving through the game with heals and attack nullifies. One such deck is as follows, built by one of our staff! 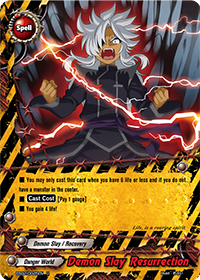 The deck focuses on finishing off the opponent in a single strike with an Item empowered by the various “Ace” cards. 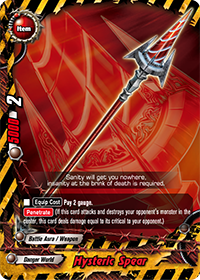 It contains some minor threats that the opponent must contend with while slowly drawing out the key cards of the combo. 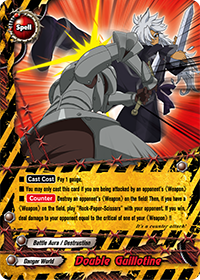 Once the set-up is complete, it’s possible to deal more than 10 damage to the opponent in one fell swoop! It is very difficult to pull off, but very satisfying when you do. This type of deck has a very varied win rate and is not very stable, but is fun to play nonetheless! Personally, Set-Up decks are my favorite! Which one is your type of deck?